Dubai's smart city vision will rely on a complex network of interconnected technologies such as Arificial Intelligence, the Internet of Things (IoT), and blockchain to tackle challenges such as sustainability, infrastructure quality, investment and funding, environmental quality, job generation and digital public services. 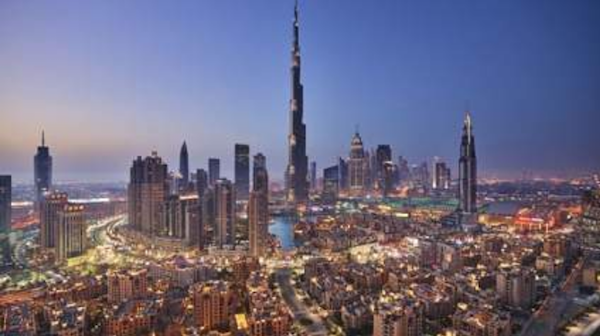 Experts say that Dubai has already launched several smart city entities and initiatives that will address these challenges to attract investment, create jobs and boost competitiveness. These include the establishment of Smart Dubai and the Dubai Future Foundation, as well as the Dubai Data Initiative, the Dubai Blockchain Strategy, the Happiness Agenda, the Dubai AI Roadmap, and the Dubai Paperless Strategy. Bettina Tratz-Ryan, research VP at Gartner Inc, noted that Dubai has a very strong data and experience-driven smart city strategy. Artificial intelligence (AI) including conversational intelligence, as well as data analytics and data exchanges, will be the key to creating powerful and customised engagements including autonomous assets and drones. To create transparency of transaction and trust for the exchange of data, blockchain will play a major role in democratising access to quality data. In the vast ecosystems that smart Dubai is building, cybersecurity will become a governance environment between different stakeholders. "Currently, there is a lot of investment into traffic management and mobility services. Therefore, technologies such as mobility management, and traffic and parking will be connected through interoperable systems into a system-of-systems, in which the impact of analytics, data science and the IoT will result in better traffic management, road safety, cleaner air, greater convenience and better mobility schedules. RTA's Command and Control Centre contains, such as a technology and service platform that will cater to multiple smart city tasks," she revealed. She added that in the next two years, many smart city strategies will serve multiple areas and stakeholders through data exchange. "Data sharing will be hampered if there is a lack of data governance, as well as how to manage innovation and intellectual property when the impact of smart city assessments resides purely in the data. We also see citizens in cities quite careful within the discussion on autonomous driving, or journey mapping, when data privacy rules need to get involved." Dr Hichem Maya, head of Industries at SAP Mena, noted that AI and Machine Learning, Big Data and Analytics, Blockchain, Cloud, and IoT are the breakthrough technologies that are making the biggest impact for smart cities in the UAE. "In the Mena region, over 70 per cent of digitally-leading organisations are investing in AI and Machine Learning, Big Data and Analytics, and Cloud in 2018, according to the recent SAP and Oxford Economics Digital Transformation Executive Study. Digital leaders seize market share and competitiveness. Smart cities that adopt these technologies can drive diversified economic growth, enhance citizen happiness, attract top talent, and enhance global competitiveness," he said. Maya also cited the results of a recent SAP survey, which asked residents about what areas are critical to them when it comes to connected cities. Gen X'ers, he revealed, want to leverage civic infrastructure to better connect with their community. Millennials, who are in their prime working years, were greatly concerned with having efficient, connected, and fast commutes to and from work, as well as digital options with regards to transportation for other purposes. "As a result, cities need to develop ways to engage other generations and groups so that they will see value and contribute to their communities. City-wide portals and sharing citizen data with third party stakeholders can connect people and deliver city revenue," he said. "Smart cities need to foster partnerships between the public, private and academic sectors to drive digital literacy and skills development. Not every smart city employee needs to be a data scientist. But they do need to have basic data science skills." "In smart cities, we're seeing the biggest business benefits from digitisation across six key segments: Data centre, buildings, transportation, water and waste water management, oil and gas, and utilities," said Gordon Falconer, global director for Smart Cities at Schneider Electric. "Buildings, which comprise 40 per cent of energy consumption, can operate more efficiently. Traffic can be reduced, and utilities can manage peaks." However, he noted that one of the biggest challenges in smart cities is integrating operational technology (OT) and information technology (IT), and having a strong infrastructure. "Smart cities can have all of the Big Data analytics that they want - but if the underlying physical operating technology infrastructure, such as water or electricity, is not there, then residents are not benefitting," he stressed. "Another major smart city challenge is fostering collaboration, breaking down organisational silos, and working towards a common vision and purpose. Smart cities need to take a collaborative approach to solving energy, mobility, sustainability, and wellbeing challenges." "Cities can't just install technology systems and have them replace infrastructure by flipping a switch," agreed Jonathan Woetzel, director of the McKinsey Global Institute. "Integrating smart technology into infrastructure helps users and service providers make better decisions and reduce inefficiencies. Ultimately, it helps the public get the services they want, when and how they want them." Darryl Cox, director of Alliances at Infor, IMEA region, explained that the truth about smart cities is that there is only one way that they can become truly smart, and that is through data and analytics. "Data is foundational to the smart city model, and the ability to collect and report on trends is vital to a smart city's ongoing success," he said. "Thus, data analysis is just as important as the tech collecting it. Yet, the amount of data facing cities is intimidating. It means that authorities, tech providers, and citizens should ally to ensure data-driven smart cities are areas where technology can finally increase the quality of life, improve security and protect its surroundings."